Resort life without resort prices. Bures and villas on a coconut plantation beside beautiful Savusavu Bay. Our standard single & family suites, situated by the pool. Treat yourself to beautiful views in these premium rooms. Self-contained & spacious. Great for groups or families. We’re located on Fiji’s northern island of Vanua Levu, a mile outside the town of Savusavu. Delicious meals, healthy snacks, Fijian specialties – all served at our communal table or in your bure or villa. All the activities you’d expect – and more. Our stimulating range of study vacation courses. From our traditional welcome to our ceremonial goodbye everything was designed to make us feel welcome, relaxed and stress-free – thus happy. I was told on arrival that it would take 23 minutes for the stress to peel away. It took 19! 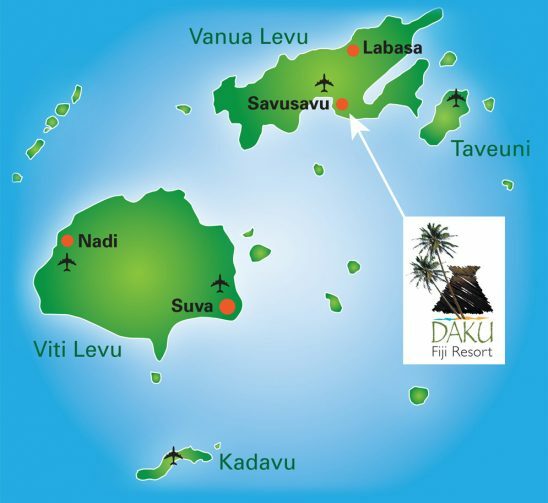 Daku Resort was just the best experience my family and I have had when not staying in a 5 Star Hotel, because the treatment we received was 5 Star! This place really is a hidden gem that doesn’t try to be anything other than authentic, and an absolute compliment to its environment and surroundings. Welcoming owners and hosts JJ and Delia are often in house to add some familial touch to your stay. They are so well supported by such loyal, friendly, and caring staff. This place is Fiji through and through and somewhere I will continue to visit for adventure and retreat alike. So many warm and wonderful staff! 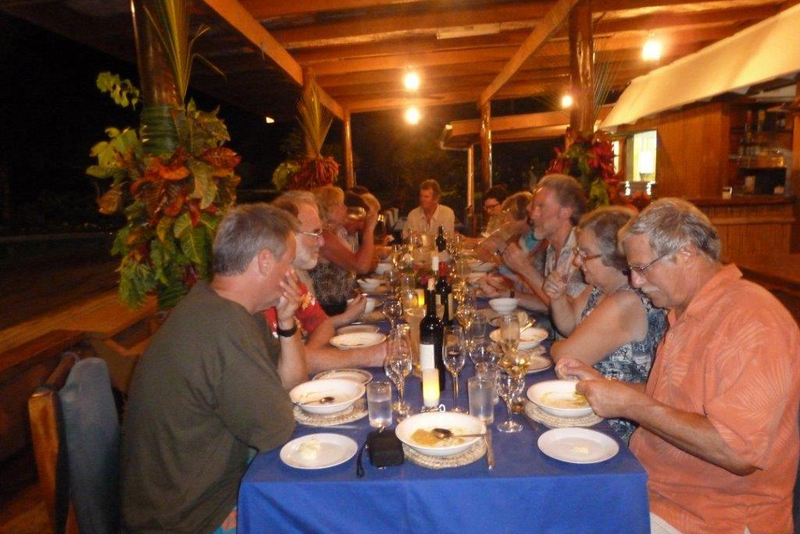 The Family style dinners were an excellent way to meet and enjoy the various guests at the Daku Resort as well as those participating in our retreat. And not to mention the food! Every dinner was a culinary adventure. The Mindfulness Retreat was an experience of lifetime and having it at the Daku Resort was the perfect setting! If you are looking for an amazing resort to stay at where the staff and owners are extremely friendly, the amenities are brilliant, and it shines day in and day out. Then this is the resort you will want to stay at. It is well priced and close to town with lots of activities that you can join in with. I’d planned to stay for one night but came back for another four: Wonderful setting by the sea – you can walk out and go snorkeling on the reef right from the beach or take a kayak, lounge around the pool. Tropical waters for snorkeling and SCUBA diving. A beautiful mountainous tropical estate for peaceful hiking. A beautiful yoga platform that you can use for your own practice. Friendly staff who’ll show you true Fijian hospitality. 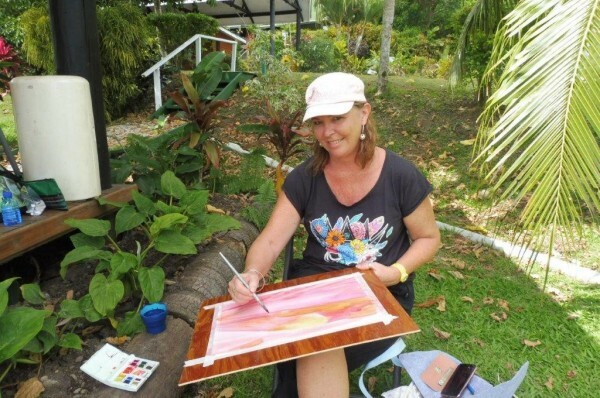 Art, Yoga, Singing, Snorkeling, and more. All wrapped up in a beautiful holiday. We only send out emails once a month. It’s a nice easy way to stay in touch with our latest news and offers, and we won’t clog up your inbox!